We offer sausages and luncheon meats made from chicken, turkey and beef. Our ambition is to give families positive food experiences and we strive to make it fun, simple and convenient for families to cook. Our range of popular brands are sold all over the world - in fact around 80% of our production is exported to more than 40 countries worldwide. We are situated in Lille Anslet, near Haderslev in southern Denmark. Our family-owned company was founded in 1961 by Robert Damkjaer and his son Poul Erik Damkjaer. 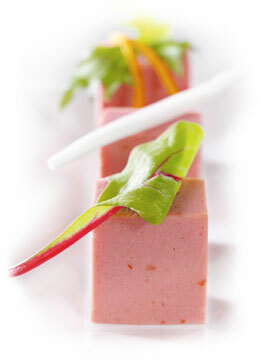 With strong roots in traditional sausage making, we are specialised in making chilled, canned and frozen products. Still valuing the old craftsmanship of sausage making, our production is now adapted to today’s modern technologies. The Damkjaer family still owns the company and today, the third generation after Robert Damkjaer - Marianne and Birgitte - run the company with their father Poul Erik.